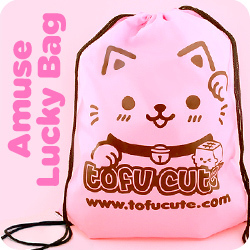 tofu cute blog / reviews / amuse namakemono sloths review! 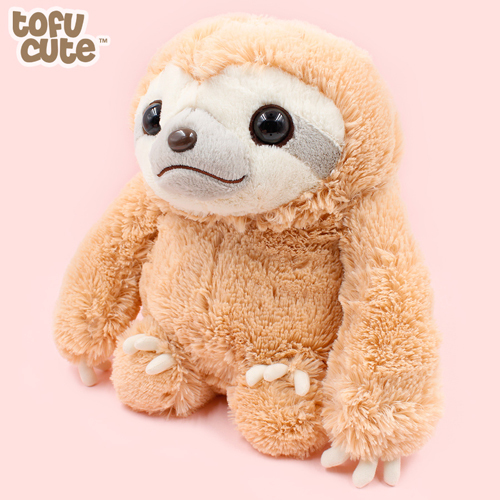 This week on the Tofu Cute Blog, we're excited to finally talk about the return of AMUSE Sloths - these adorable plushies which have been absent from our online store for quite a while. It's been a long time since we begun introducing Quentin The Sloth in our blogs, and for much of his time appearing on the blog, the AMUSE plush series that he's based on (or perhaps more accurately, based on him) hasn't been available! 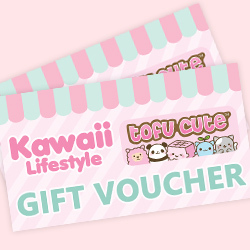 We're happy to say that changed this week - we have a new set of AMUSE Namakemono Sloths available for you to hang out with in three different sizes! But how good are they? Do you need one in your life? (spoilers: you do). Let's start by looking at the small plush version, which would definitely be a plush I recommend to AMUSE newcomers and sloth fans alike. 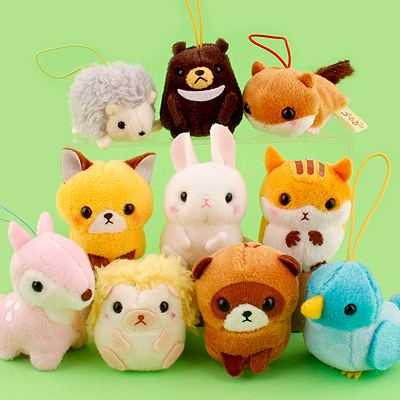 This soft creature comes in the perfect size to hold in your hands as most small plush do. It has sweet smiley expression, round eyes and the facial markings that are iconic of a sloth. Whilst it's a lighter colour than most real sloths, it represents the animal very well - there's no way you could look at this and not understand that it's a sloth! 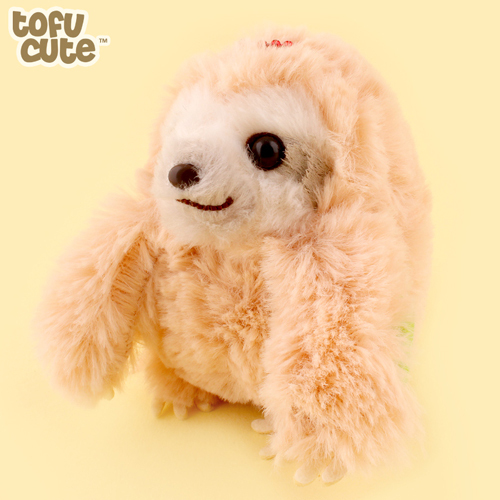 It's very soft to hold, and the poppers on the hands are easy to click in place and link them up with another sloth. 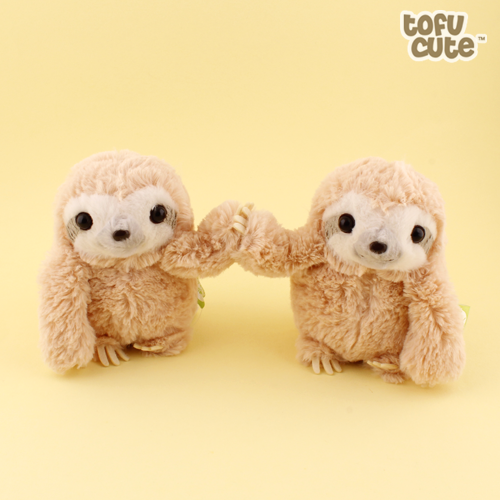 They can give each-other high fives, cuddles or simply make a really long chain of sloths which you could use as a kawaii decoration. 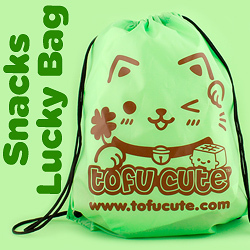 Speaking of making a chain of sloths - our latest video on Tofu Cute TV gives you the chance to witness what a chain of 60(!!!) sloths together looks like! It's quite a fascinating spectacle. In order to get the longest chain that we could, we used the keychain version of the sloths, but I'm any of the sizes could make a good chain if you wanted to do that - they have a strong bond and don't want to let go of each-other easily! Did you know that sloths come in two types which have different numbers of toes? There's two-toed sloths and three-toed sloths! 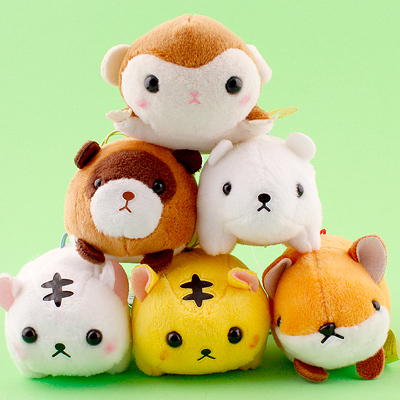 As you can see, the AMUSE plushies are based on three-toed sloths! 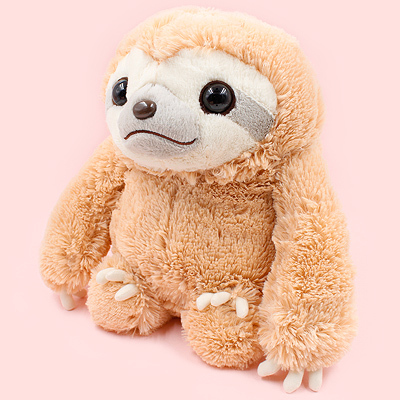 You can see their three toes have been represented in even the small keychain version of this plush, because AMUSE knows how important a sloth's claws are to its ability to climb and hang upside down, which they love to do more than anything else. 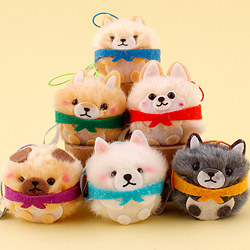 The keychain version of the Namakemono Sloth is particularly charming because it has all the charm of the small plush version but packed into a tiny keychain. Because of their smaller size, the fluff on their face is a bit more intense and covers up parts of their eyes a bit more, which is super adorable. 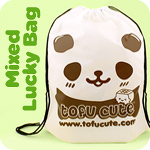 The keychain version also has the added benefit of being portable, and they can be used excellently as an accessory. You could create a fashionable sash made out of a string of these tiny, fluffy guys. 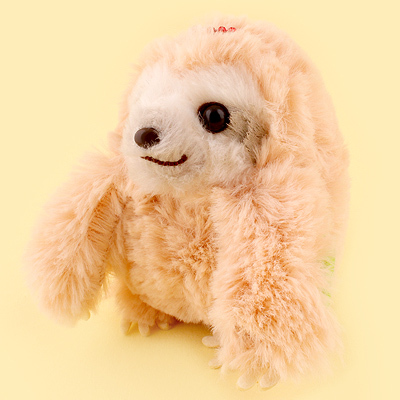 The giant version of the sloth is also a triumph, and it's the perfect plush to get if you want a Quentin look-a-like. Whilst it's the same sort plush, it does have a few differences to Quentin as a newer series - it doesn't have its tongue out like Quentin does, and it seems to have slightly less jaded eyes. Quentin has seen a lot in his time, but this newer plush is still full of energy. It also doesn't come with a top hat, but you can supply a top hat yourself and I'm sure it would look very dapper. They're the perfect size to hug, and this giant version still has the poppers in the hands to link with other giant sloths or to link its own hands together. If you link its hands together, it can great a very strong grip that is excellent for hanging off things or for letting the sloth hold smaller sloths (or any other plush). Overall, these sloths are very impressive indeed, but I'm sure you already knew that. 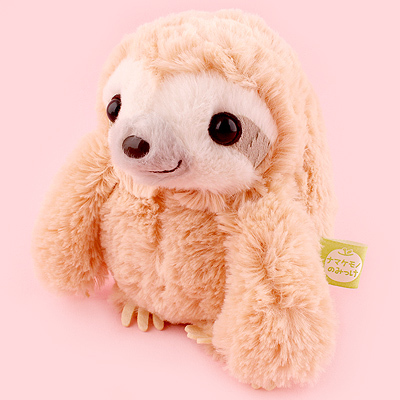 The only major disappointment is that they can't rotate their head on an axis of 270 degrees, like real sloths can, but the shape of the plush itself and its lack of head rotation probably makes it a lot cuter. A sloth plush with a fully rotatable head would probably be a bit scary. If you're hesitant about picking up a sloth plush, don't be - whilst sloths are very slow at pretty much everything, they're very fast to charm people. Give them a chance. 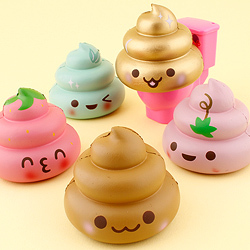 Next Article >> 3 New AMUSE Plush with Crowns - Reviewed!